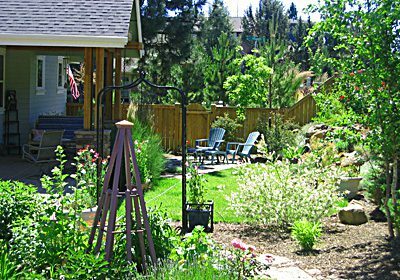 We moved to Bend two years ago with a lot of gardening experience in the valley, but none in the climate and conditions of Central Oregon. After researching and meeting several landscape companies, we met Gary and knew we found the connection we were looking for. Gary introduced us to Karen and we were off on a fun and rewarding experience. 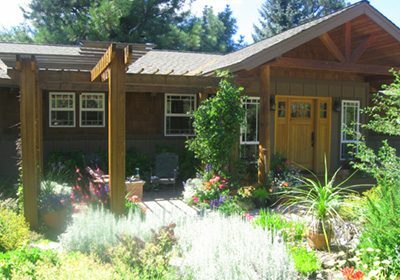 Since our home was not yet completed, we were able to incorporate Karen’s ideas for patios and walkways, as well as a complete plan for planting. We called on the expertise of the Landsystems staff again and again as we filled our garden with color, texture and beauty. There is such a good vibe at the nursery, we always feel like family when we stop by. 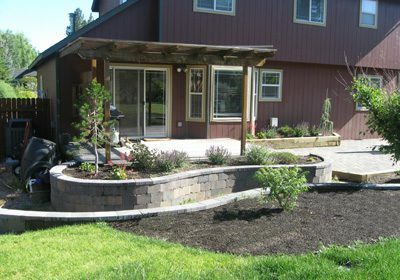 We contacted Landsystems last year to help us design the landscaping at a house we were remodeling. As usual, the landscaping came near the end of the project when we were running shy of resources, so we asked Gary and Karen if they could do the design for the hard and green scapes, while we would do the actual work. They readily agreed to do just the design. The short story is that they completed the design on time and on budget, even after we asked them to modify a few things on the plans. And the design was great! It included all of the hardscape design, planting diagrams, as well as irrigation and lighting design. They successfully captured what we envisioned – facilitated by an extensive questionnaire they had us complete prior to their design work, photo sessions and intensive discussions. During the hardscape construction we asked Karen to come by to give us some guidance on the project. She was a great help and gave us the confidence to continue. Now, about a year later, we are ready to get started on the final stages of the project and are doing so with confidence inspired by a great “roadmap” provided by Gary and Karen. A few years ago, Karen Rossetto at Landsystems consulted with me to redesign my back yard, and once designed, her team went to work to make it a reality. 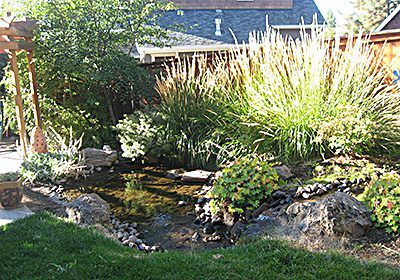 I had two objectives: to combine a disjointed yard into one smoothly flowing landscape and to turn it into a yard that required less manual maintenance on my part. Karen came up with the perfect design to suit my needs. Her design included a variety of shrubs and trees yet it all has symmetry. I love it that the different shrubs and trees bloom at different times throughout the spring, summer and fall. It is a visual delight and I always look forward to the next one blooming in succession. And now that they are mature and have a life of their own, I can enjoy more free time to sit in my back yard and just take it all in. We’d Love You to Share Your Story…..
Had a great experience with Landsystems? Let us know so that we may share your story.